Good Morning! How many of us want to find freedom in our art? I know that creating authentic art that tells a story with loose lines and brush strokes is what I am always working towards. I am so thrilled to share that Dina Wakley is back with a brand new online course and like each of her courses it is filled with COLOR, intentional marks, and storytelling! If you want to get out of your own head and start breaking creative boundaries you will want this course with Dina. 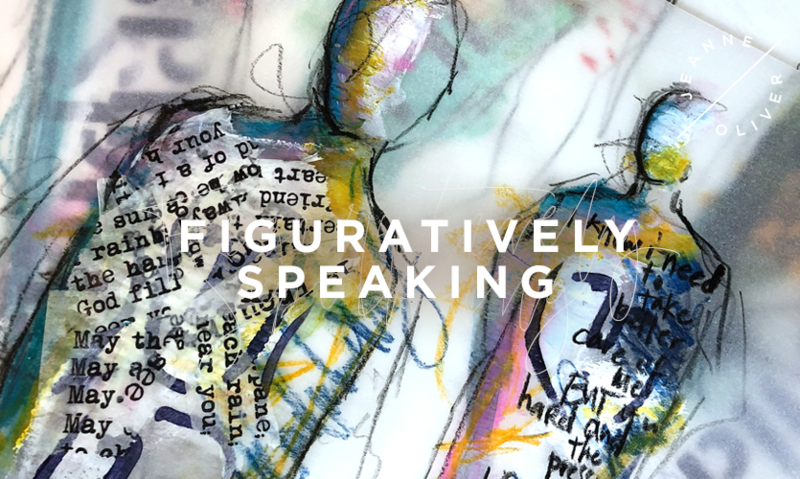 Early Registration for Figuratively Speaking is open and will go to full price on October 29th at 10 pm MST. The course will go live on November 16th, 2018. The course is 4+ Hours of Content. Come and read all about it. In Figuratively Speaking, we’ll combine two of my loves: abstract figures and putting your own handwriting in your work. I will show you easy ways to create textured backgrounds, based on your art marks. Then we’ll demystify abstract figures by creating them simply but effectively. Dina will show you her tips for adding writing and asemic marks with your own hand to your backgrounds and to your figures. We’ll fill the figures with colors, textures, words, and even miniature paper weavings. 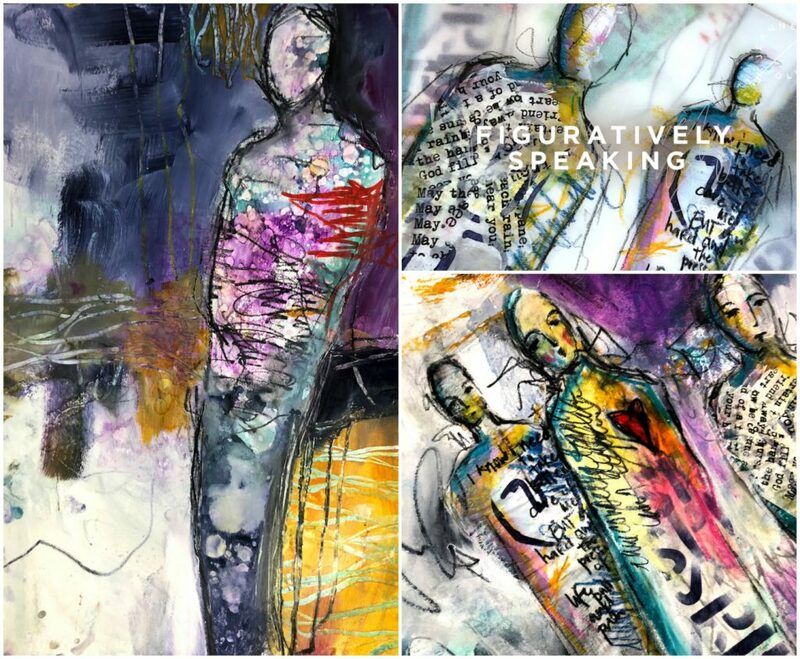 A true mixed-media experience, Figuratively Speaking will ignite your creative fire.